The 120mm Tango Shad was tested in the steamy jungles of Papua New Guinea, where black bass like to exploit any weaknesses in the system. During prototype testing, the very first 120 Tango accounted for 18 PNG black bass before succumbing to the sticks, and that was without counting the barra caught as by-catch. Trolling to 6m deep, the 120 Tango is constructed from tough ABS plastic in one-piece to ensure maximum strength. Internally there is a casting weight that drops into a slot during retrieve, helping to keep the nose down. The weigh is released to the tail of the lure during casting to provide more accurate casting and greater distance by reducing tumbling during the cast. 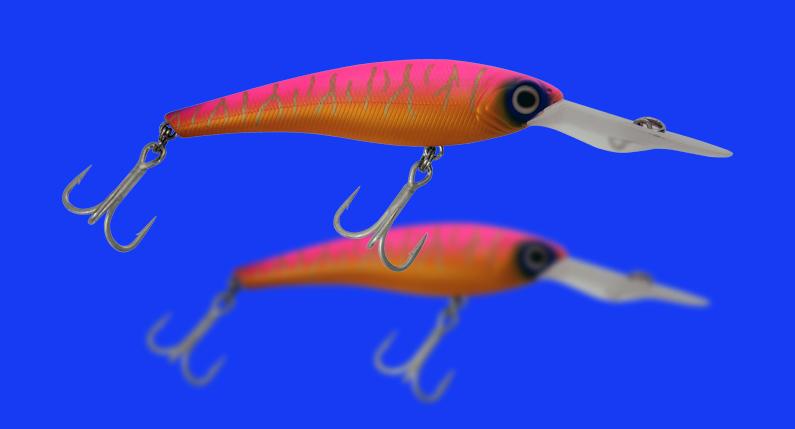 Externally the 120 Tango is fitted with 4X trebles that are wickedly sharp, and all rings are overstrength to produce a lure that will not compromise in the field. Available in 10 colours, the 120 Tango Shad weighs in at 37g and is built for action.